Speaker, General Session II "Executive-Suite Roundtable: Journey to the Top." Alex is a Partner in the investment banking division of Goldman Sachs. Alex joined Goldman Sachs in New York after graduating from MIT in 1994 and spent three years across the information technology, fixed income and investment banking divisions. In 1997, Alex relocated to Hong Kong to work on mergers and acquisitions, debt and equity financings, privatization and restructuring assignments for clients across Asia. Notably, Alex was deeply involved in the debt restructuring and capital raise assignment for the South Korean government during the height of the Asian currency crisis in 1998 and was instrumental in developing Goldman Sachs' investment banking franchise in Korea. In 2000, Alex returned to New York to join the leveraged finance group, where he spent six years structuring and executing leveraged loan and high yield debt financings for corporate and private equity clients across all industries. In 2006, Alex assumed his current role in the financial sponsors group where he manages the firm's relationships with a number of private equity and related portfolio company clients. Alex was named managing director in 2006 and partner in 2012. Alex co-heads Goldman Sachs' firmwide recruiting efforts at MIT and is also co-head of the firmwide Asian Professionals Network which focuses on the recruitment, development and promotion of Asian professionals at Goldman Sachs. 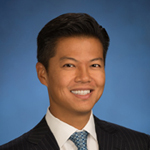 Alex also serves on the Board of Directors of the Korean American Community Foundation and the Korea Finance Society.